Many Syrian and Iraqi refugees at CRP have fled the destruction of their homes, cities, and villages. Uprooting and settling in a new location can sever old networks and destroy former communities and connections. At CRP we have worked on creating an environment where our beneficiaries can rebuild a sense of community and normalcy in their lives. For example, we give former teachers the opportunity to continue teaching at the after school and summer camp programs for the kids. It is hard for refugee children to make friends here in Jordan and many children have been out of school for several years. These opportunities also help children at CRP find routine and safe place to grow and play. It is often easier for children to make new friends here at CRP than at school, where other children may not understand what it is like to be a refugee. Kids at CRP’s summer camp playing. 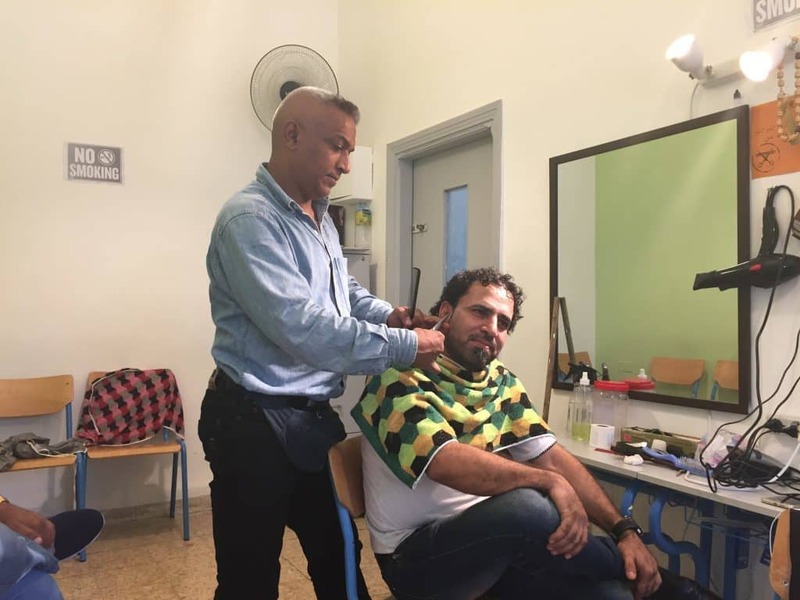 Waseem cutting a staff member’s hair at the CRP barbershop. Thank you to all who have supported CRP on behalf of the CRP staff and beneficiaries. Your donations have made this community building possible through our programs and groups we run. 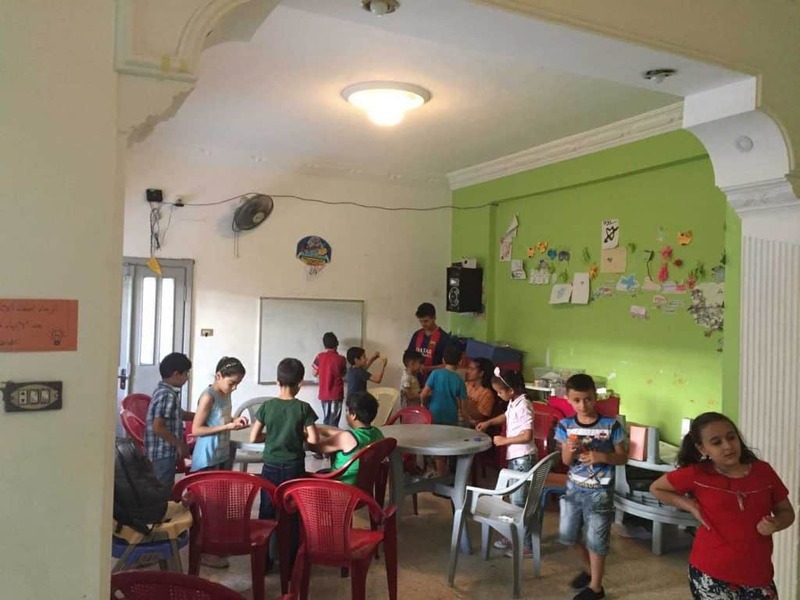 We hope you continue to support us as we try to expand our programs and reach to help more refugees in East Amman.